Why Do I Have Low Views of My Posts on LinkedIn Lately? I recently Googled, “Can I use evaporated milk instead of condensed milk?” when a pumpkin pie was threatened by my failure to shop well for the holidays. (I am allergic to cooking, and this is just further proof.) A slew of answers appeared to my question, all saying basically the same thing: no, but you can combine evaporated milk with sugar, boil it, and viola! Pumpkin pie is back on the menu. So when I recently Googled, “Why Are LinkedIn Views of My Posts So Much Lower Lately?” for some client research, I was surprised to find few answers. Along with friend and social media expert Gina Schreck of SocialKNX, I began my quest for the answers to the LinkedIn mysteries of the universe. Gina and I spent some significant time on the phone looking into this issue, and we didn’t even talk about shoes once. We were on a mission. LinkedIn calls a “post” that longer article that you might share, like a blog, on your profile. For example, if you were to share all of the ways in which it is possible to burn Jell-O (I am up to 4 ways personally), that would be a post. It’s these “posts” that have been seeing less views lately, unless you are of celebrity status (and if then, you might still see low views—we looked at one “celebrity” whose views were dramatically reduced in the last 4 months). “Pulse” is the place where all of these wonderful posts go (often to die a barely-viewed death, at least of late). Sometimes, you will hear people excitedly say that they had a post on Pulse. Well, every post is on Pulse. What you really want is to be featured on Pulse. That means that when people look for, say, leadership posts, your post might be there, which means that they might read it, which means they will read your bio at the bottom of it (because you totally add a call to action and a short bio at the end, right? ), which means you might make a new connection, sell a zillion dollars in product, and retire before you have to publish another post next week. Not sure if you were featured on Pulse? Look at the very bottom of your post, past your call-to-action (ahem) and your short bio (ahem) and your 3 tags (ahem again). It’s by your name, before the comments. It will say, “Featured in Bad Cooking Advice” if you made it. An example is with Bruce Kasanoff, further below. But lately, the views are down on posts on LinkedIn. How long have you been publishing posts on LinkedIn? For most of us, this has been a recent phenomenon. The sheer number of people now turning to LinkedIn to publish content has increased. We reviewed a variety of people on LinkedIn. Outside of clear celebrity posters, we looked at people with roughly 2,500 followers to over 15,000 followers. The trend was consistent across the board. One unique piece of data stood out: There was more consistency with LinkedIn Premium members. Since we did merely a sampling and not a scientific analysis, I won’t say for certain that it helps to be a Premium member. But I can say it doesn’t hurt, at least as far as LinkedIn post views are concerned. You’ll have to work harder to be noticed. Pulse is now the high school quarterback or the head cheerleader, and you are a no-name freshman. You’re gonna need to make your post STAND OUT. In the words of Elsa from my daughter’s favorite movie Frozen, let it go. Consider this a character-building exercise. Give to give with your posts. It’s a principle as old as the Bible and from that book directly. If you write to give your knowledge, it doesn’t matter the number of views you have. In summary, it’s as easy as pie to increase your views (please take into consideration the author here. She does not think pie is easy, so you may have your work cut out for you regarding increasing those views!). Have you seen your views go down recently? Do you know of any other reasons for the dip? Share them in the comments. Get pertinent social media, entrepreneurial, and leadership tips delivered straight to your inbox by signing up for the regular blog here. 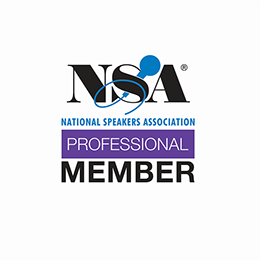 Are you a speaker or other expert who needs help with your book or online presence? Do you dread the social media “stuff” but can’t imagine anyone else writing like you? Contact me to chat further about how my team and I can help you.